As promised, some photos from Philadelphia, one of the oldest and most historic cities in America. 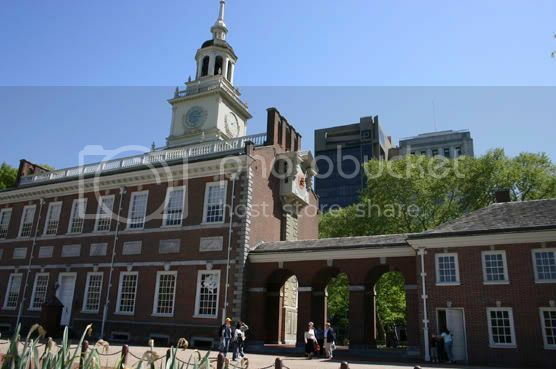 Independence Hall - The first U.S seat of government. The Declaration of Independence and The Constitution were deliberated and signed here. 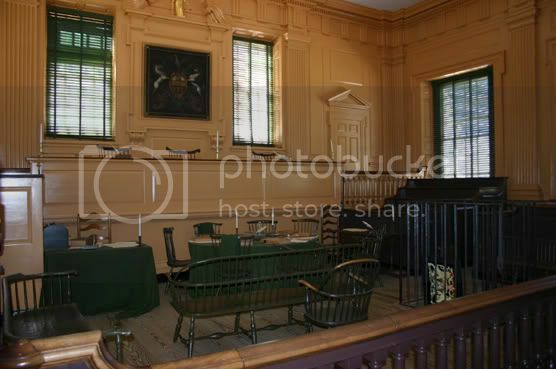 Below is the room where the US Constitution was signed. You have probaly seen drawings of this room in history text books? This is the City Hall. Three guesses what this is! 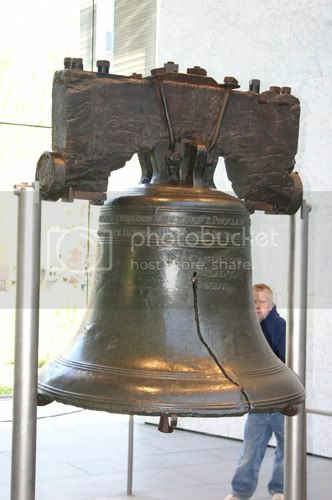 That's right PQ it's the Libery Bell! By the way, the bell is housed in an architectural masterpiece of a building. 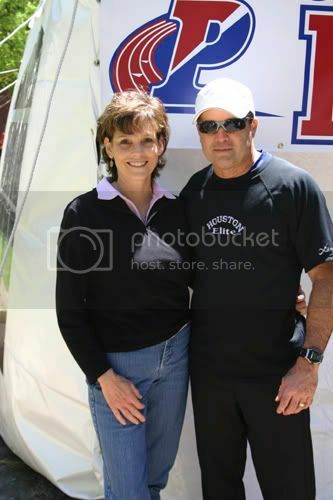 Pic of me with a track groupie. No idea who she is but she insisted on a picture with me! Cool pics! It's the next best thing to being there. Great pics, I've been to Philly but it's been a long time. 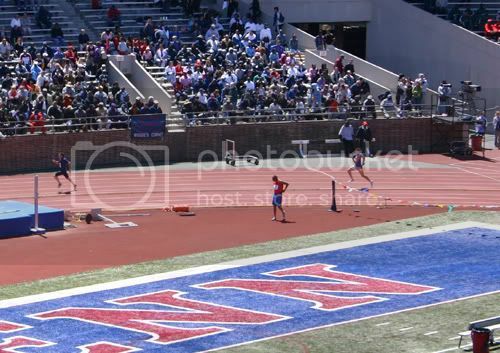 Especially love the one of you with the track groupie (bet she thought you were hawt) and the last one of you running. You are so sweet to let us live vicariously through you! So, there's more to Philly than just the cheesesteaks. There's also that broken bell they're so proud of. Personally, I'd hide it in the basement like a crazy relative. Wish you could have been there! Next time you go see the relatives you might try getting over to Philly. There's a decent train system that can get you all over town; and it's inexpensive to ride too! I'm fibbing of course. 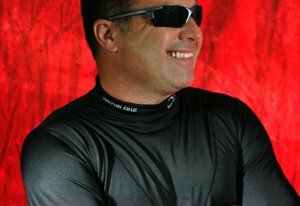 Our team is endorsed by CW-X clothing. They are based in Japan. You can see some of my teammmates on their website. She is a CW-X rep. Funny thing, they told us our pics will be all over Japan by the next day! Weird huh? Tomorrow I will show you a famous Philly Cheesesteak restaurant (I think I have a pic of it) We unexpectedly bumped into the Phil Eagles #1 draft pick from the day before, who arrived in a big strectch limo. Big Dude. A defensive linemen form Florida State. I have crew rested in Philly many times. It is always the best to see new perspectives of old sites. Glad the times there, treated you well. This was great venue for you, appreciative and knowledable crowd, history and wonderful architecture, and a groupie. Obviously she knows masters track & field. I was just goofing around Rob. That's a CW-X clothing rep. They were there for photos and to give us things. Its a Japanese based sports clothing company with some cutting edge stuff. Houston Elite has an 'arrangement' with them. They provide some clothing for us and they use images of members over at their web site. Take a look. There are some good images of Bill and others under the 'community' tab. If you have not been to the Penn Realys you should; it's a circus! And a little scary with the big knowledgable crowd, as you point out. I'm told they had record crowds with a sold out house on Saturday for the Olympian types. I had a blast. I'm looking forward to meeting you sometime. R u going to Charlotte? I now know what you look like! That's like talking to people on the phone that you haven't met. Then you meet them and go "Aha, so you are who I have been talking to!"